Jesus, forgive me still. My Lord! and will have shame once more! 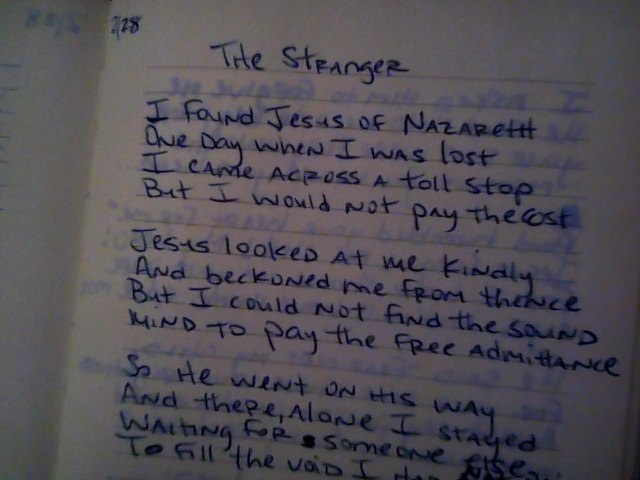 I’ve been a stranger to you! My child, I all ways new you. Thank you so much! 🙂 I read it today for the first time in years and it almost made me cry. I had to share it! It’s a great feeling reading old poetry for the first time in a while. The emotions that were once written and are no more is validation of our growth. Yes, dear Trinity! Such poems come from a deeper place – Thank you for writing it down! As always, Bobbie, you are so very welcome! 🙂 I’m glad you can appreciate my words. Love & light to you always, sis. I was moved by this poem. I felt ashamed and loved at the same time, this was better than any sermon I’ve heard. Very touching poem.